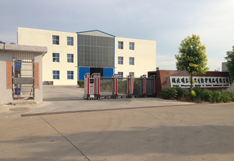 Hubei Mingerkang Health & Safety Appliances Co., Ltd is located in Xiantao City, Hubei Province, which is known as the "Capital of Chinese Nonwoven Products". We produce and sell all kinds of face mask, shoecover, doctor cap, clip cap, surgical gown, patient gown, coverall, hair mesh cap, sleeve cover, apron, pillow cover, bed sheet and other disposable medical appliance and personal protective equipment. Our company predecessor was Shenzhen Universal Kangyu Labor protection Co., Ltd, founded in 2003, mainly domestic market oriented, focusing on industrial protection, establish a good working relationship with Foxconn, and other well-known companies; In 2006, setting office in Shanghai, the company gradually improve the product range, determine the brand strategy from industrial protection to civilian protection, and then get more well-known domestic enterprises trust and recognition, thus it has laid a solid foundation for the company development. In 2009, we develop the international market, successfully adopted the ISO quality management system and achieved CE, SGS and ISO13485 certification etc; After two years of unremitting efforts and development, by 2011 our company build 10,000 square meters factory, founding Hubei MingerKang Health & Safety Appliances Co., Ltd., and successfully applied for Independent import and export right, truly become the professional industry and trade manufacturer; In 2014, we got the Medical Equipment Production License, then achieved stable cooperation with China NO.1 medical group company Winner, which help lay the cornerstone for civil protection into medical protective; then with the alliance of Japanese company SP, our production management and quality control have been greatly improved; By 2015, we get the free sales certificate (FSC) and the registration number of medical-related products, focusing on the development of medical-grade products. It promotes our independent brand HBMEK development. Since founding, we have participated in East China Fair, the Canton Fair, CMEF, Germany Medical, Brazil Medical exhibition, Arab Health Exhibition, Miami medical exhibition trade show and some emerging market regions exhibition, actively explore the domestic market. Today, with the joint efforts of all staff, establish a long-term and stable cooperative relation with customers from Japan, Korea, Europe, South America, Southeast Asia and other regions, products sold in more than 20 countries worldwide. We will care for people's health for the vision, providing quality products; uphold the principle of supremacy, creating a century enterprise. Actively create the best social, economic and environmental benefits. We sincerely welcome customers and friends .